OK…Does this not just make your eyes glaze over and put that ” me, me, me, me , smile on your face?” If it doesn’t, then I don’t what will because this is simply the easiest and the best pizza dough ever! 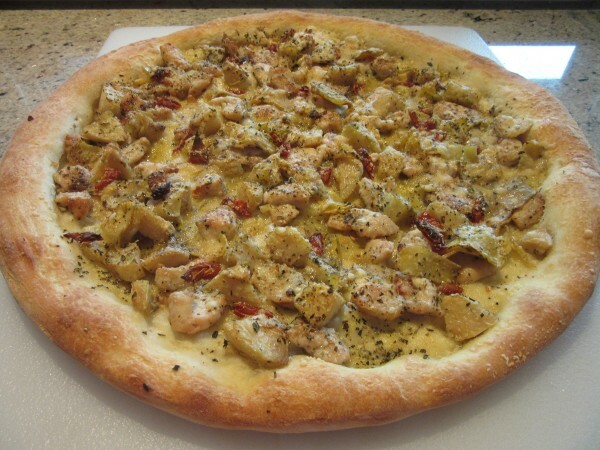 I made a white chicken pizza out of this one for a change, but the traditionally red pizza sauce is also out of this world! Yes, it is easy. Yes, any beginner can make this. Yes, this is fool proof. And you know what else? 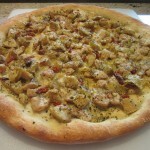 It is so inexpensive to make at home you’ll never want to spend the big bucks for a carry out pizza again. 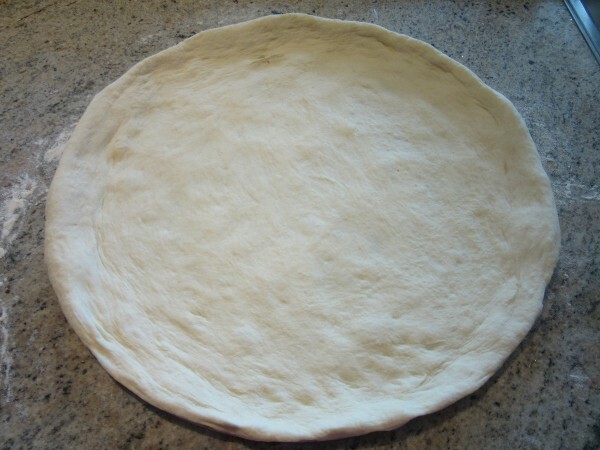 The recipe makes enough dough for two 14 inch pizzas, so make one and throw the other in the freezer for up to three months. Or,make several batches and freeze them. Guaranteed your family will love this homemade pizza. The best part is you can add your own favorite toppings. As much or as little as you like. None of this “add $$$ for extra toppings.” For my pizza as shown, I used garlic infused olive oil to spread on the crust. 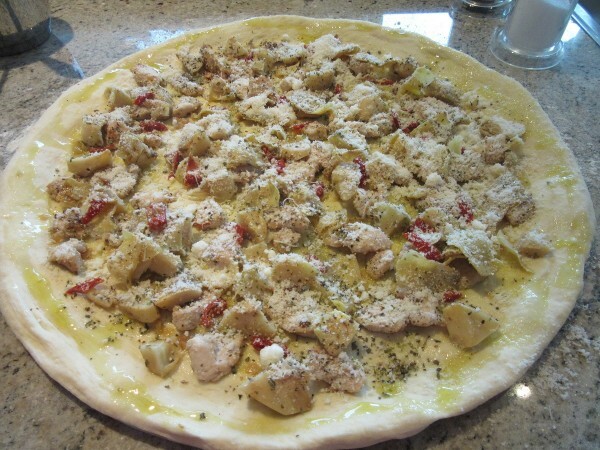 I added chopped cooked chicken, artichoke hearts , sun dried tomatoes and a whole heap of Parmesan cheese. But the secret is in the crust, so let’s go build us some pizza dough! This is what we will need. Told you there was nothing to it 🙂 Flour, Salt, Olive Oil, Yeast, Sugar and Water! This makes 2 -14 inch crusts or serve enough for 6-8 people. It's important to pre-heat your oven at least 20 minutes before you want to cook the pizza. They need a HOT oven. 500 degrees is great. 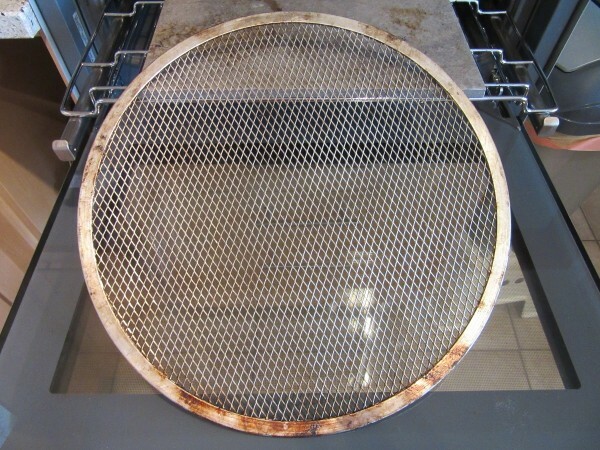 We use a pizza grate to cook our pizzas, not a pizza pan. But if all you have is a pan, then use it. We like the grate on top of a pizza stone for a nice crisp crust but it is totally not necessary. I do not recommend this but, our pizza stones never arrived here in Germany so we use a ceramic floor tile and find it suits us well. 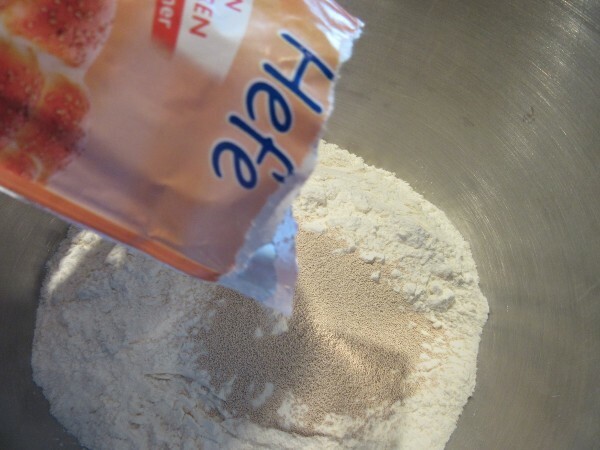 In a Stand Mixer, combine the 3-1/2 cups AP flour, Sugar, Yeast and Salt. You may need the other half cup of Flour later. 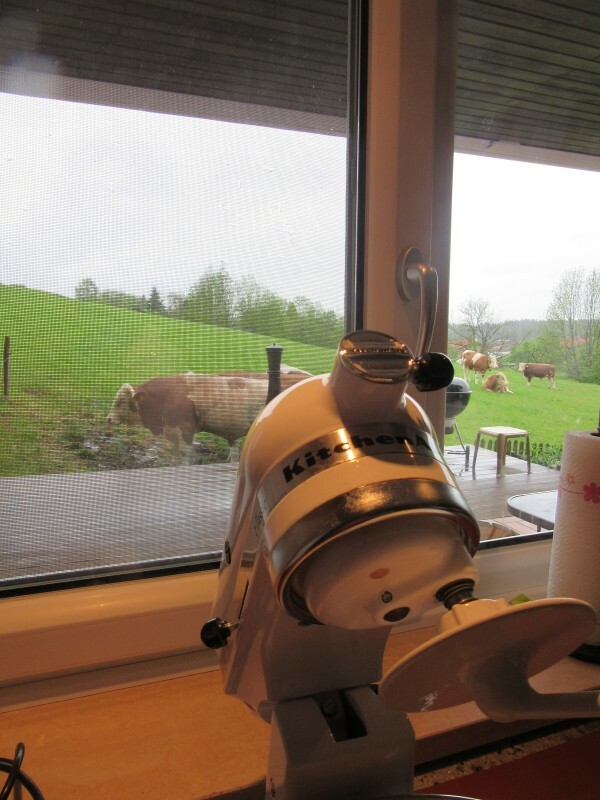 Having bulls in the background is not necessary but does add a certain ambiance to your cooking. You're welcome. 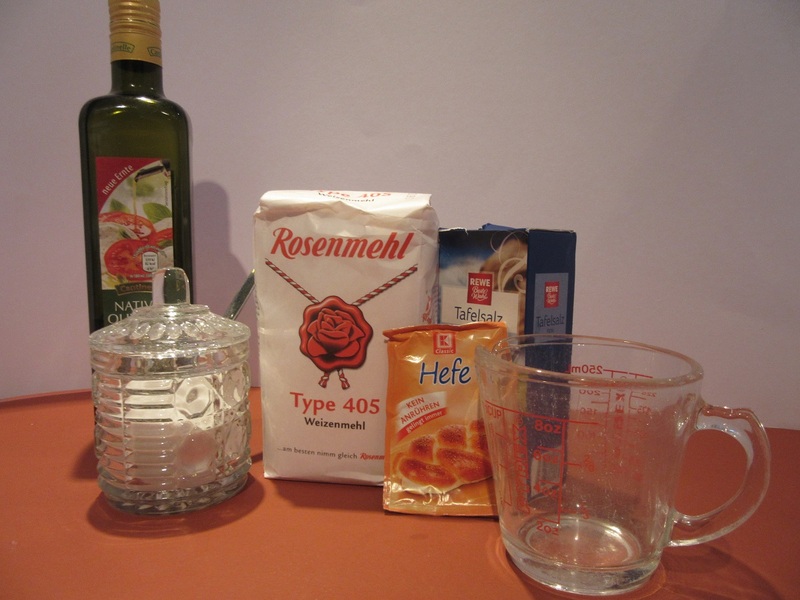 This is the only tricky part and it applies to ALL yeast dough's. The water should NEVER be above 110 degrees! 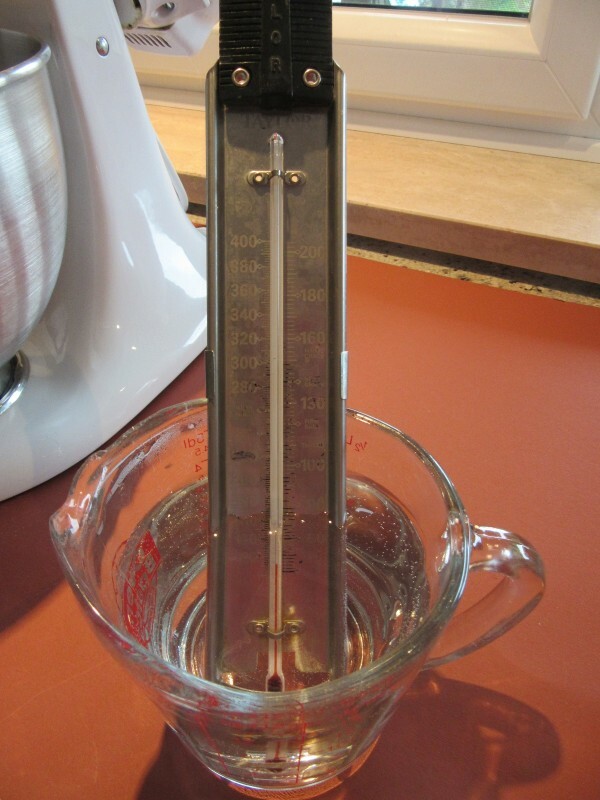 If higher, it will kill the yeast and you will have a gloppy mess, not dough. No worries if you do not have a thermometer. You know the "check the baby bottle on the inside of your wrist" trick? Well, if the water for the yeast is warm enough on your wrist, it is warm enough to make the yeast react. Slowly add the warm water to the flour mixture while the machine is running. Add the 2 TBSP of Olive Oil at the same time. One after the other. Easy peasey. OH...this is important. Run your mixer at half speed or lower or you will be blowing flour all over your kitchen! 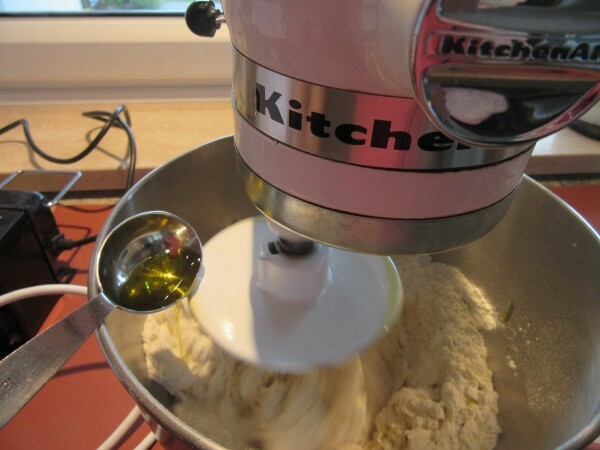 Run the Mixer at medium low speed until the dough comes together and pulls away from the sides off the bowl. Now, here's fun! Lightly flour a kitchen counter place and turn the dough out onto the flour. 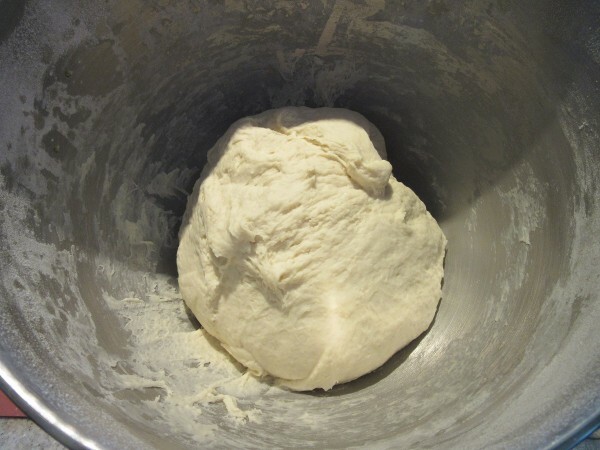 Knead a few times until the dough is elastic and pliable. Never more than a couple of minutes. The left hand glove? Well, I have a few sutures in that hand. Nothing to worry about. 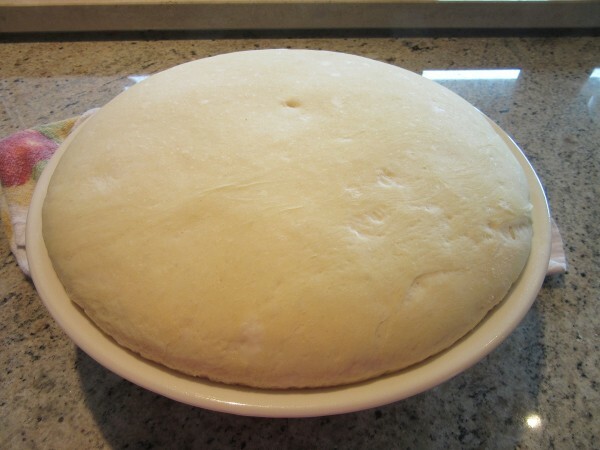 Once kneaded, oil a large bowl. Just smear a spoonful of oil around the bowl. 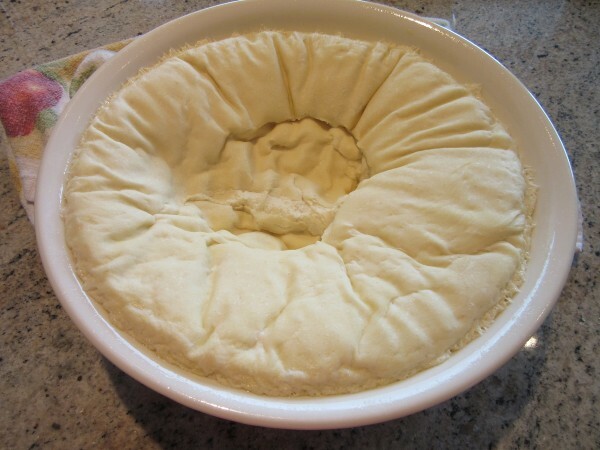 Plop the dough in the bowl to oil it, then turn it over. 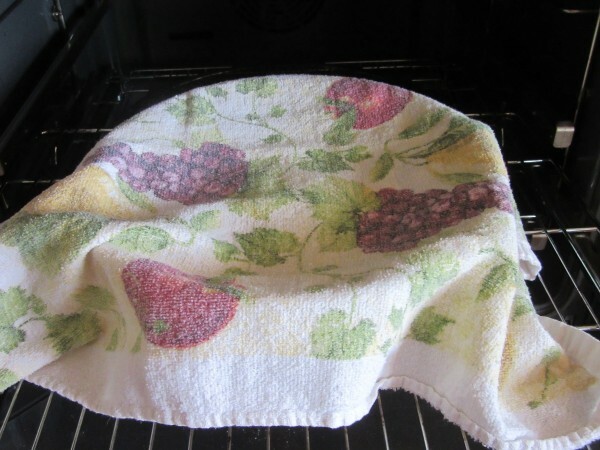 Cover with a light towel or paper towel and place in a warm spot to rise for an hour. I usually turn my oven on for 1 minute and then turn off. Place the bowl in the oven and WALK away! Set your timer for 1 hour and DO NOT LOOK. There's nothing you can do about it anyway, so go for a walk or vacuum or something. WOW! After an hour it should look like this. 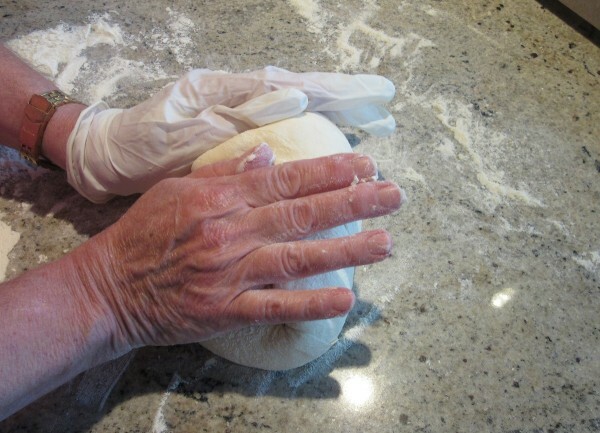 If you poke your finger into the dough and the imprint stays, then the dough is perfect! 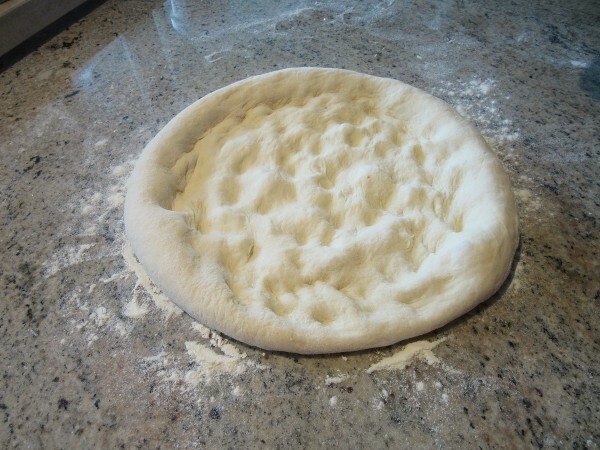 Turn the dough out onto a lightly floured board or counter top. Divide it in half then smack each half around for a minute. Feeling better? I thought so. Shape each half into a ball. Cover with a towel and let it rest for 10 minutes. 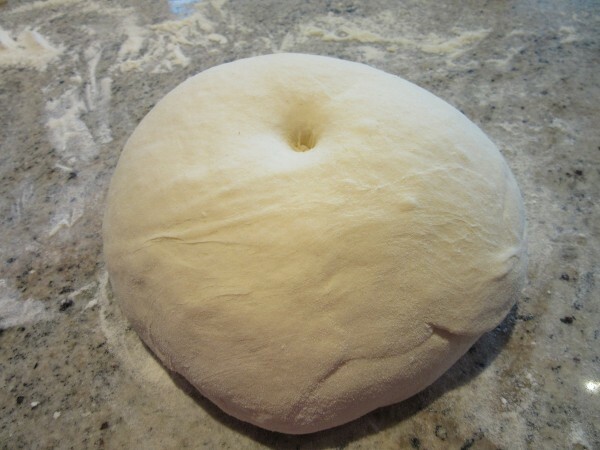 Take 1 ball of dough and on a lightly floured surface, start spreading it out. (Sparky worked in a Pizza Palour when he was 17 and learned to toss dough. For some reason he enjoys poking his fingers in the dough to spreed it out. I simply turn my head away at this point. If not using both pieces of dough, wrap it tightly in plastic wrap and put in a zippered plastic bag and freeze right away. If you don't, the dough will continue to grow! There. You did it! Looking good! Add your favorite toppings. Then pop her in the oven at 500 degrees for 8-10 minutes. Haul the pizza out of the oven and MANGIA! 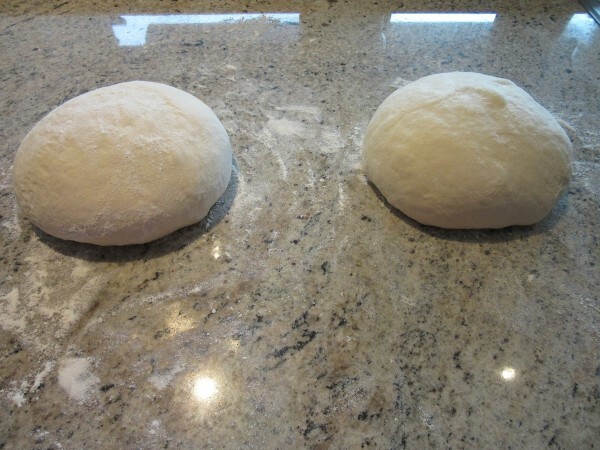 I love homemade pizza dough! How fun to make it with the kids every week too!